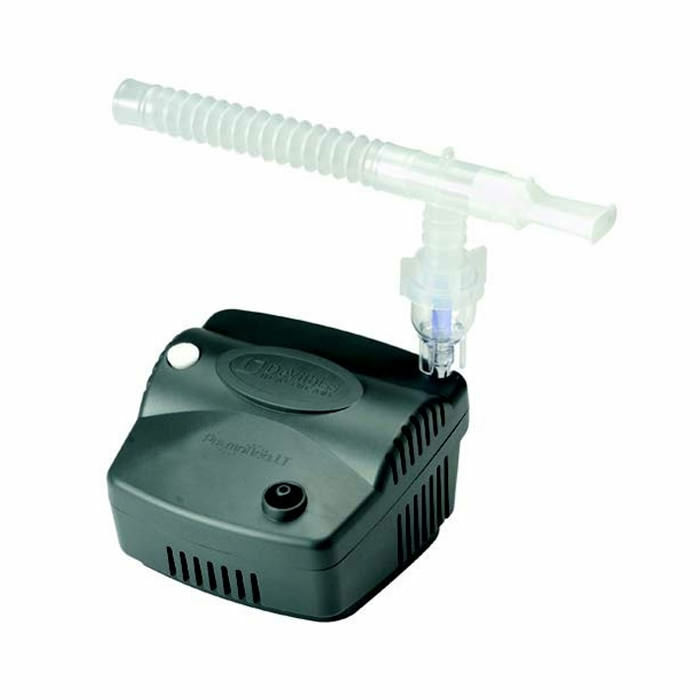 Devilbiss PulmoNeb LT is a high performance compressor nebulizer system that fits the bill & was developed to compete with other low-cost systems. However, it not only competes, it exceeds expectations by delivering superior performance that makes it low cost, compressor nebulizer systems on the market. Dimensions (H x W x D) 5.75" x 4.0" x 6.0"
The product is provided with a 5-year limited warranty.